Food Poisoning vs Flu: What’s the Difference? When you’re sick to your stomach, hunched over the toilet, and feeling miserable, you may not care about the difference between food poisoning vs. the flu—all you care about is feeling better. However, if you understand the differences between the symptoms of both (that is, food poisoning vs. a virus), you’ll have an easier time finding the right treatment that will get you back on your feet. Once you know what you have, you can work towards getting over your sickness as fast as possible. Both food poisoning and the flu can cause similar symptoms: nausea, diarrhea, stomach aches, and vomiting are common with both. Given that so many of these symptoms are the same, how do you know if its food poisoning or the flu? Well, it turns out that there are some key differences between the two illnesses. When trying to determine if you have the flu or food poisoning, there are a few subtle differences that can help you figure out which one is causing your sickness. Food poisoning is a result of eating food that is contaminated with bacteria, viruses, or parasites. Often, food that is improperly handled, cleaned, or cooked can make you sick. Viruses, on the other hand, can be spread much more easily, either through physical contact or even through the air. As well, not washing your hands can lead to the flu and other viral illnesses. One thing which makes it difficult to determine whether you have a food poisoning or a virus is that food can actually be contaminated with viruses, so—in some cases—you could have both. However, more often, food poisoning is due to bacteria. Here are some differences between food poisoning symptoms and flu symptoms that can help you figure out which is likelier to be causing your misery. While the flu and food poisoning can seem similar, food poisoning can cause some more severe symptoms and complications in many cases. For babies, elderly people, and people with compromised immune systems, both the flu and food poisoning can pose a serious health risk and cause for concern. If you want to know whether you have a stomach bug or food poisoning, it can also help to know which viruses and contaminants cause the specific illness. You may be able to narrow the cause of your illness down to something you ate or were exposed to. When trying to figure out if you are suffering from food poisoning or a stomach bug, there are some key things which can help you quickly pinpoint the culprit. Food poisoning has a more rapid onset. If you eat contaminated food, you can become sick in as little as an hour or two. If you go out to a restaurant and are throwing up a few hours later, then it’s more likely that you have food poisoning. Both food poisoning and stomach bugs can cause abdominal pains, but they are usually more severe with food poisoning. 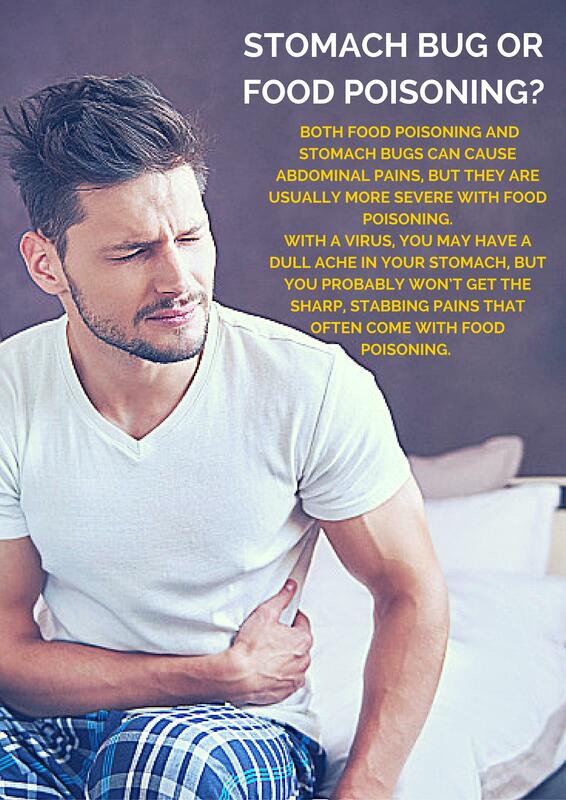 With a virus, you may have a dull ache in your stomach, but you probably won’t get the sharp, stabbing pains that often come with food poisoning. If your entire family comes down with a sickness at the same time, then it’s likely from something you all ate. Viruses, on the other hand, often spread from person to person, which means you will have different onsets of sickness than with food poisoning. Both sicknesses can last up to 10 days, but food poisoning is more likely to clear up in a very short amount of time. If you feel better after a few hours or a after a night’s sleep, there’s a good chance it was a stomach bug. Once you have narrowed down your sickness to food poisoning, you may be wondering how long does food poisoning last? Well, it depends. Food poisoning can caused by a variety of bacteria, viruses, and other contaminants. There is no single type of food poisoning; rather, there are many different types of food poisoning, and symptoms, illness duration, and contaminated products can differ with each type. 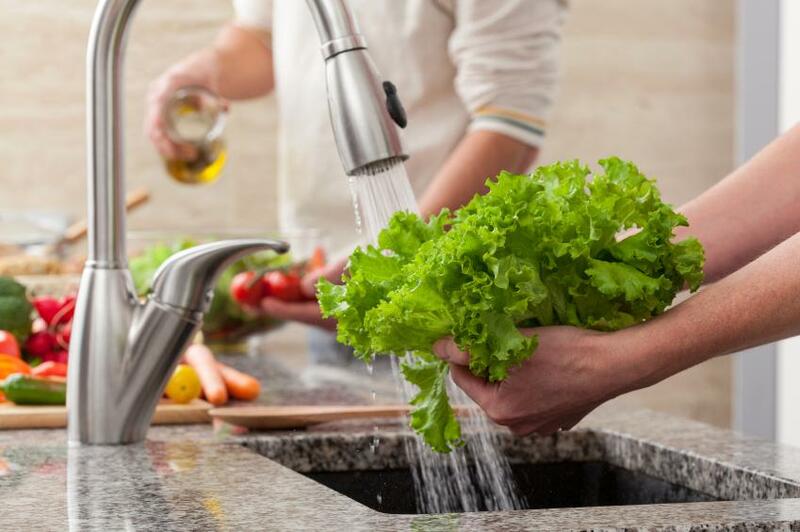 For instance, salmonellosis is commonly caused by undercooked chicken and other meats, while giardia infections usually occur from uncooked vegetables and fruits. However, both of these types of food poisoning could occur with any type of food, assuming there has been cross-contamination during processing, handling, or cooking. As well, food poisoning can cause very different symptoms depending on the type. Cholera infections are usually over in less than a day and symptoms clear up afterwards. However, botulism can cause severe symptoms if left untreated, including difficulty speaking, fatigue, and even paralysis. As well, other types of food poisoning can cause kidney damage, liver damage, miscarriages, and even death. This is why if you do believe that you have food poisoning, you shouldn’t jump to conclusions. Some people may have had food poisoning before and had it clear up very quickly, leading them to mistakenly think that every case isn’t serious and doesn’t need to be treated. On the other hand, some people may rush to the doctor at the first sign of nausea, when there’s nothing they can do but wait for their body to fight off the virus. You are experiencing symptoms that are not associated with regular food poisoning or the flu, such as bleeding, severe pain, or vision distortion. If your symptoms are limited to diarrhea, moderate abdominal pain, nausea, and vomiting, then you can wait a few days to see if your illness resolves. 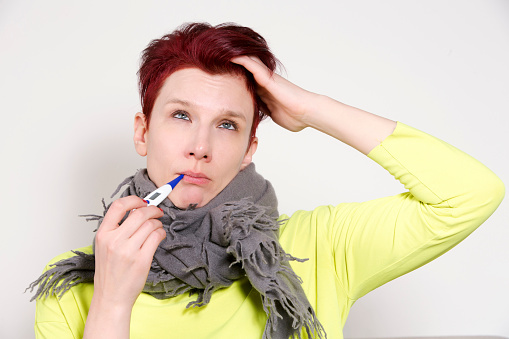 Often, both food poisoning and the flu will resolve on their own. Wash vegetables, fruits, and other foods before eating them. Always wash your hands before meals, after being in public, and after using the washroom. Do not share food, utensils, drinks, cosmetics, or personal care items (e.g., lip balm). If someone is sick, avoid close contact with them as much as possible. Get the right amount of rest, eat healthy, and exercise regularly. Always cook meat and fish to their required internal temperature. Use a meat thermometer for cooking any meat. Never eat food that has been sitting out for more than a couple hours. Serve food at their intended temperatures. After handling raw meat, wash your hands and clean utensils, surfaces, and dishware. Refrigerate leftovers and eat them within a couple days. Avoid eating out at restaurants or fast-food places on a regular basis. If you’re traveling, research safety precautions for food and water in your destination spot. than to drink plenty of fluids. Both the flu and food poisoning are, frankly, awful, but there are some flu and food poisoning remedies that you can use to help treat these illnesses. After coming down with a stomach bug, the bacteria in your gut may be compromised or overtaken by “bad” bacteria. If you’re experiencing digestive upset for more than a few days after becoming ill, taking a probiotic can help return your stomach to normal. Look for probiotics that contain a high amount of bacterial strains and colony-forming units (CFUs). As well, fermented foods and drinks, such as sauerkraut, kombucha, and kefir, can help replenish your gut with good bacteria. When you have either food poisoning or the flu, nothing is more important than to drink plenty of fluids. Both conditions can cause dehydration as a result of diarrhea or vomiting, so it’s important to replenish yourself with water, but also with sports drinks such as Gatorade, as they have electrolytes and sugar that can help hydrate your body and restore lost nutrients. The flu can cause a lot of digestive problems. If you have a stomach bug, do not eat foods which are known to aggravate indigestion and cause stomach upset, including spicy foods, beans, dairy products, and alcohol. Your body has diarrhea for a reason—it’s trying to flush out viruses and bacteria from your body. When you take medication to stop diarrhea, you end up reducing your body’s ability to overcome the illness. If you really want to use these medications, speak with your doctor first. It can be difficult to tell the difference between food poisoning vs. the flu, but when you are sick to your stomach, knowing these difference can help you get better faster. Both cause many of the same symptoms, but by understanding the type of illness you have, you can be more prepared to recover and you’ll also know when you need to see your doctor. Luckily, as bad as these illnesses are, they often resolve on their own. Get plenty of rest, drink lots of water, and wash your hands! Atkins, A., “Is it Food Poisoning or Stomach Flu?” Grandparents web site; http://www.grandparents.com/health-and-wellbeing/health/food-poisoning-symptoms, last accessed May 2, 2016. Erikson, J., “5 Ways to Tell it’s Food Poisoning & Not a Stomach Bug,” The Stir web site; http://thestir.cafemom.com/big_kid/168977/5_ways_to_tell_its, last accessed May 2, 2016. Falcon, D., “The Differences between Food Poisoning and Stomach Flu,” Symptom Find web site, October 12, 2011; http://www.symptomfind.com/health/food-poisoning-and-stomach-flu/, last accessed May 2, 2016. “Food Poisoning,” Department of Health web site; http://healthywa.wa.gov.au/Articles/F_I/Food-poisoning, last accessed May 2, 2016. “Influenza,” Concentra web site; https://www.concentra.com/patients/health-library/influenza/, last accessed May 2, 2016. Marcin, A., “Is it a Stomach Bug or Food Poisoning? Tips for Identification,” Healthline web site, October 20, 2015; http://www.healthline.com/health/digestive-health/stomach-bug-or-food-poisoning, last accessed May 2, 2016. Sugar, J., “Do You Have a Stomach Bug, or Was it That Food You Ate?,” Pop Sugar web site, March 29, 2016; http://www.popsugar.com/fitness/Difference-Between-Stomach-Bug-Food-Poisoning-993580, last accessed May 2, 2016.